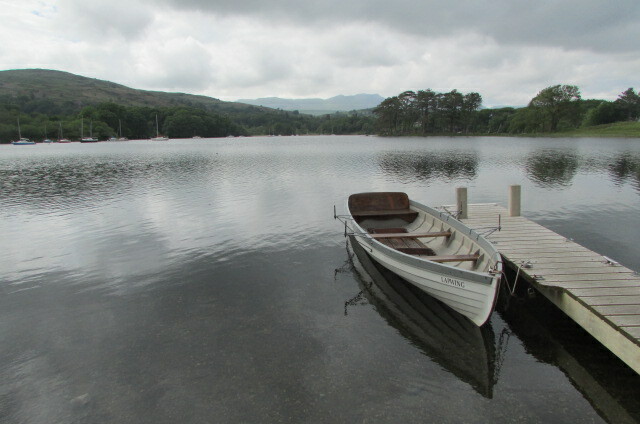 I’m just back from my fourth trip to Coniston Water in the Lake District this year. It was neither my intention nor desire to go there or so often – it just kept being offered and I kept accepting. 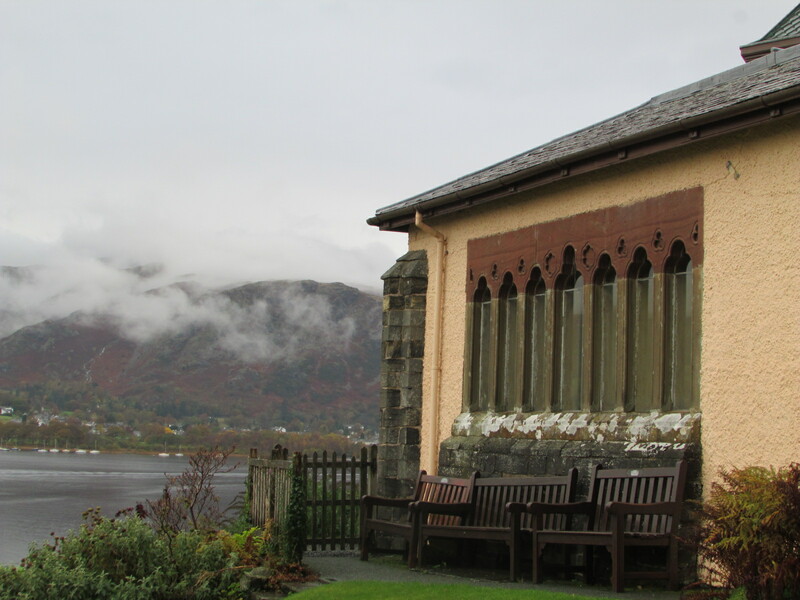 Two of those weeks were spent at Brantwood, the home of John Ruskin, in a privately-run writers’ retreat, weeks of total immersion, stunning views and great walks. It was hardly surprising that I fell in love (again) with Ruskin. The first time had been while i was writing Consider England, back in the 90s. At that time, Brantwood had not been open to the public very long. 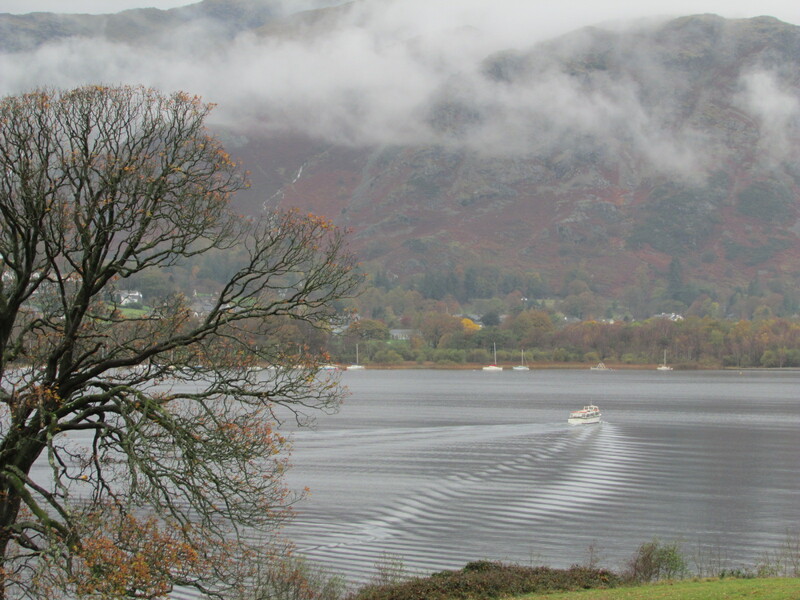 Now it is a port of call, literally, for the Coniston launch and the Steam Yacht Gondola, and has a car park for those who arrive more conventionally. I was sitting in Ruskin’s study and a Dutch couple came in to look around. The man looked up and said, ‘He’s still here, you know.’ ‘Yes,’ I replied. ‘It’s as if he just popped out and will be back any minute.’ The grounds, being thoughtfully and devotedly restored by gardening staff and volunteers, are trails of beauty and happiness through woods, over rocks, with wonderful cataracts crashing past through ferns and mossy stones. ‘Ruskin’s seat’ is a stone slab over such a cataract and you can imagine him sitting there, paddling with bare feet. ‘Ruskin’s pond’ is something he made so that he could see the sky without craning his neck. A visit into the public toilets makes you gasp at the loveliness of tiles and fittings, and above is an out-of-the-way room most miss, where a newly constructed lithophone sits, inviting you to play it. Based on something Ruskin invented, this one was built in recent years with advice from Evelyn Glennie. There are two of them, the smaller one being wired to a synthesiser. I jump about with the beaters like a native drummer and, depending what number I’ve selected on the keypad (I try them all) I get arpeggios, broken chords, up octaves, down octaves and water effects. It is woo-woo music, kind of right for Samhain. I summon nature spirits and they come. The lodge, where we stayed, once housed his valet. 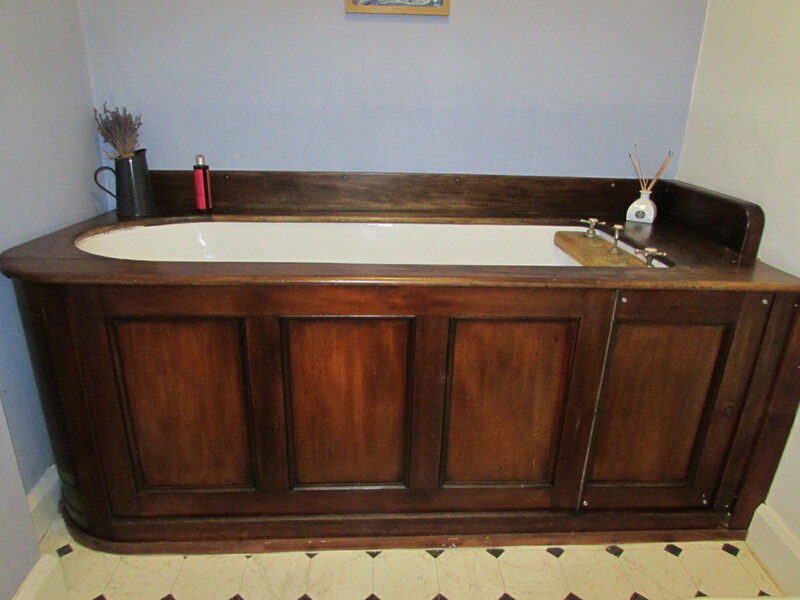 When it was restored just recently, they moved Ruskin’s bath out of the house and into the upstairs bathroom. It is fed by water from the reservoirs that he installed 140 years ago in the moorland garden, water that is soft and yellow, yielding clouds of soap. 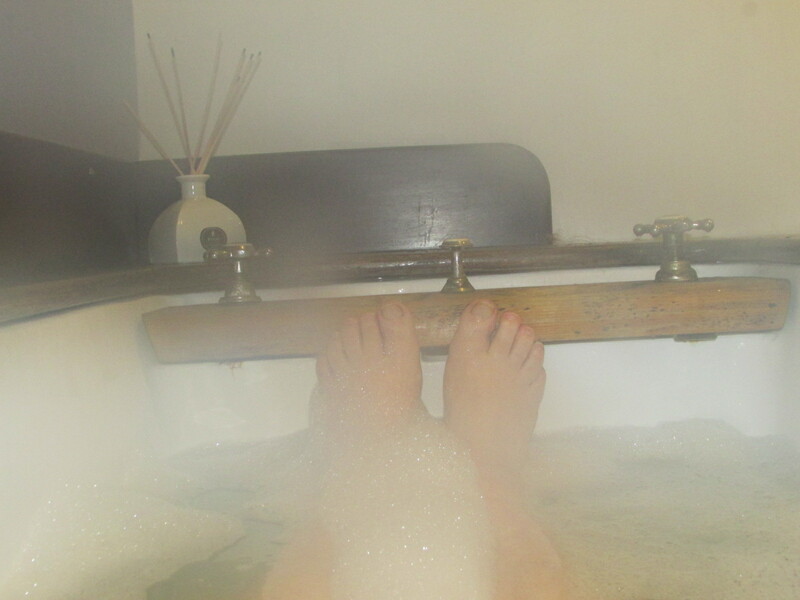 It is so long: I could drown in this bath, a vast tub with Victorian taps made by Shanks and Co. looking like capstan wheels. It has a strange drainage system – designed by Ruskin? 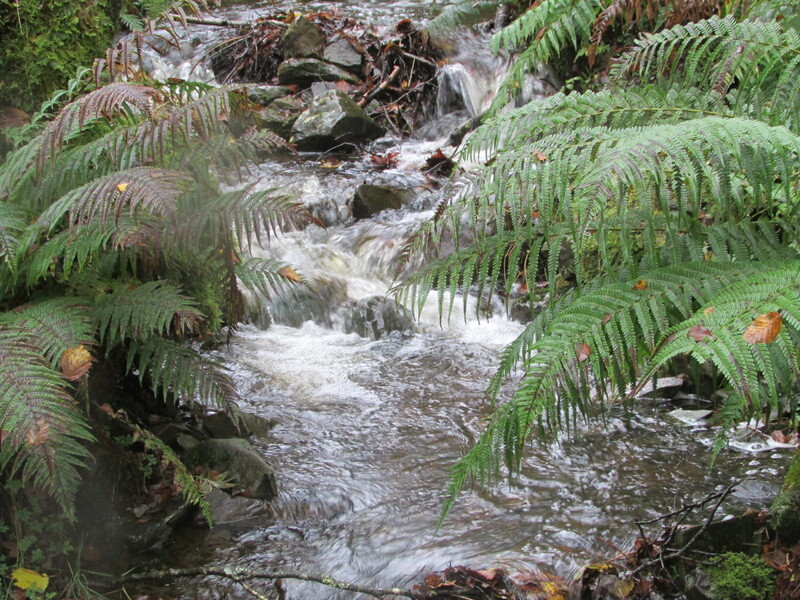 – where you use the central tap to lift or lower an internal sluice gate that doesn’t quite seal, so you bathe to the sound of running water – Bee House Beck beneath the Lodge and the bath leaking. To get out of this bath, I have to turn over on to all fours.